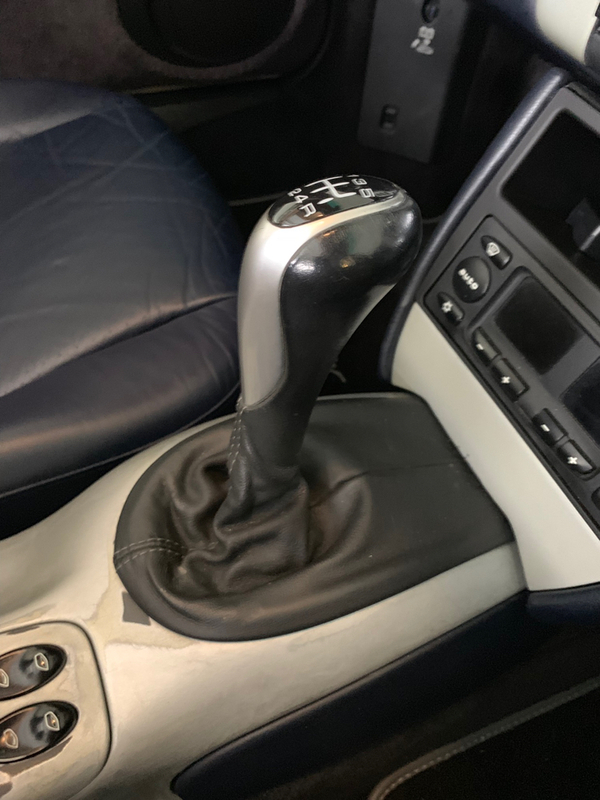 My Dad’s Boxster shifter is missing the shift pattern diagram and I guess the only way to replace it is to replace the knob, but he wants the OEM style. Anybody that’s upgraded theirs have one to sell? Hi Steve, I don't know what they go for, but I could sell mine for $75. It would encourage me to upgrade... I like your title, btw. I've done that for my dad for some time, too. Got pics? I'll send them to him. Sure - I'll get some when I get home from work today. Thanks Steve, sorry, had gotten distracted! Excuse the rough center console. I sanded it down in preparation for repainting it.